Indica cannabis plants have wider leaves and grow shorter and bushier than sativas, which means that indicas are normally better suited for indoor growing. The effect from indica strains is a physical body high that is relaxing and sedating. This makes indicas ideal for smoking at night-time if you want to wind-down and relax. Due to their calming and sedating effect, indicas can be a good choice to help treat sleeping problems, chronic pain, stress and anxiety. Most indica-dominant strains have a strong, sweet or pungent aroma although they can come in many different flavour variations. If you’re looking for the perfect indica-dominant strain, our list of the top 10 indica-dominant cannabis strains can help you! When a breeder mixes first-class strains such as White Widow, Skunk and Big Bud for a new creation, expectations are naturally high. Greenhouse Seeds far exceeds those expectations with their spectacular Super Critical. Thanks to her potent ancestors, she delivers a very fast-hitting and strong physical high that relaxes and calms the entire body. With her sheer power to relax, Super Critical makes also a great medicinal strain that is ideal for the relief of chronic pains. She is in particular well-suited if you want to grow her SoG and ScrOG style. In ideal conditions, growers can expect fantastic yields of up-to roughly 800g/m² indoors and an incredible 1.2kgs outdoors. With her powerful effect and spectacular yields, Super Critical is a true powerhouse of a plant! Strain Hunters’ Money Maker, a cross between Master Kush, Hindu Kush and Skunk is as old-school as it can get. This award-winning strain doesn’t hide her indica side with her short and bushy growth and small internodes. Although she may require somewhat more nutrients as compared to some other strains, she will reward with very fast growth and will thrive in any type of medium such as soil, coco, grown hydroponically or in aeroponic systems. Even beginners can see amazing results in no time. She will grow very compact buds that have the typical kushy and earthy aroma for an intensive, deep and earthy smoke that is complemented with fruity notes. Money Maker will give a super-potent body high that will show you bottomless depths of relaxation. With her narcotic effect, she’s ideal for treating pains and insomnia. Skunk #1 is one of Sensi Seeds’ groundbreaking strains. With their Super Skunk, Sensi’s goal was to take their famed family of Skunk strains back to their original Afghani roots. As you can expect from Sensi Seeds, the result is another stellar strain. Sensi managed to improve on Skunk #1 and created a modern strain where they added flavour and potency and gave the strain a boost in growing performance and yield. Super Skunk grows massive, crystal-coated colas that will ensure an abundant harvest of tasty and resinous bud. She is easy to grow and not very demanding, so that even new growers can look forward to a smoke with an extraordinary powerful effect. Get ready for a full-body experience and have her show you the deepest levels of relaxation! Cheese is among the most popular cannabis strains in the UK. Lore has it that the strain originated from a bag of Skunk seeds back in the late 1980s. What makes Cheese so unique is her intense cheese-like smell, a trait that made her immediately popular in the cannabis scene and among many growers and breeders. 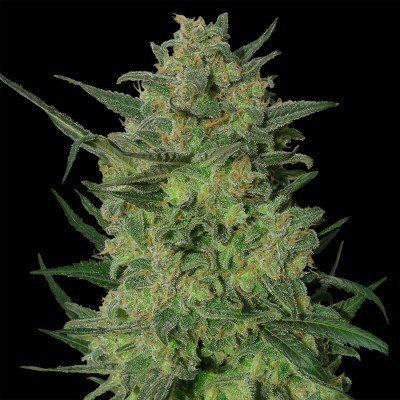 Breeder Big Buddha Seeds took the strain in the early 2000s where he wanted to create a seed version of the famous strain with the help of a top Afghani. The rest is history. Big Buddha Cheese went on to immediately win the 2006 Cannabis Cup and from there on the popularity of the new hybrid soared. Today it is the most popular Cheese hybrid in seed form. Big Buddha Cheese combines her trademark cheese aroma with some sweet and tropical notes. Cultivars and connoisseurs love Big Buddha Cheese for her enormous yields and super-potent bud. Her high is energetic and uplifting, very clear and long-lasting. The original Blueberry is the most popular of the Blue Family of cannabis strains that consists of her and her sisters Blue Velvet, Blue Moonshine, Blue Heaven and Flo. She got her name because of her delightful and authentic blueberry flavour and aroma and her beautiful flowers that ripe from red to purple to a nice blueberry blue. With genetics from some of the best Afghani indicas and Thai sativas as well as with minor Mexican influences, she produces very resinous buds that will delight every grower. As you would expect from a first-class strain such as Dutch Passion’s Blueberry, she already took home several awards like the 2000 Cannabis Cup where she dominated the competition. Smoking her is an experience, not only for her fresh and fruity blueberry aroma but also for her pleasant high that is euphoric and can last for several hours. Barney’s Farm bred their LSD cannabis strain with the help of top genetics from Skunk #1 and Mazar-I-Sharif. The result is a spectacular plant that grows with a big punch of vigour and robustness. Growers love that she is resistant to many diseases and that they can grow her almost anywhere without a fuzz. Barney’s Farm’s LSD will reward will respectable yields of about 600g/m² while she requires a rather short flowering time of only 8-9 weeks. As some can possibly guess from the strain’s name alone, Barney’s Farm’s LSD is famous for her powerful high that can give a very trippy and psychedelic experience together with a no-less powerful relaxing body stone. Some of her phenotypes have been measured to contain a staggering 24% of THC. Her smoke has an intensive, earthy and musky chestnut aroma. Two of the most robust and fertile strains, Critical 47 and Somango, helped in the creation of Zativo’s Critical Mango. This 75% indica doesn’t grow very tall indoors but this can be an advantage for all those who want to keep it stealthy or where growing space is limited. Outdoors however, some plants can easily reach a height of 2m or more in optimal conditions. Don’t let her unassuming size fool you, Critical Mango’s yields make more than up for it! In a typical indoor grow room she can yield up to 525-575g/m² and may well pull 600g/plant in the outdoors, thanks to her fertile Critical 47 genetics. From her Somango parent she got a very fruity scent and pleasant sweet taste that makes connoisseurs fall in love with her right away. Critical Mango delivers an equally pleasant high that boosts creativity and inspiration for the perfect day-time smoke. Critical by Royal Queen Seeds is one of those strains where everything is in perfect balance. 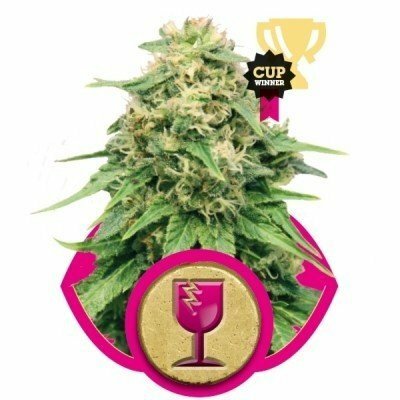 With her robustness and vigour, her enormous yields, great taste and amazing flavour and last but not least the easiness if you want to grow her, Critical is an all-time favorite in the cannabis scene. For cultivars, Critical by Royal Queen Seeds is the cash crop plant of choice since she will reward, over-and over again, with great yields in an amazingly short 7 weeks. Her manageable short stature of below 1m indoors makes her perfect for all types of growing spaces, yet she is all about yield with her short internode spacing and fat buds. This makes Critical the perfect plant for discreet growers who don’t want to sacrifice anything. Quantity sure is not everything when it comes to cannabis, and this is where Critical shows why she is so popular. She offers a true quality smoke that gives a nice body stone which will mellow into a deep and blissful relaxation. OG Kush, Dinafem’s cross between a Lemon Thai/Pakistani and a Chemdawg enjoys big popularity all across the world. The exotic hybrid is especially popular in California where the strain is a favorite among celebs and cannabis connoisseurs. OG Kush is a fast-flowering strain that will pack a punch and will grow with stunning results with only some basic care. This makes her a great plant also for less experienced growers. She will grow very dense, super-resinous buds that have a very intensive smell and aroma, a trademark of OG Kush that is also a hint at the amazing quality of her smoke. Her flavour is very fruity, a mix of berries and citrus with some clearly present Diesel notes. Dinafem’s OG Kush delivers a very potent effect that starts out as a cerebral high at first and then evolves into a deeply relaxing body high. DNA Genetics wanted to bring their lemony genetics to the next level and this is exactly what they managed to do when they created their Lemon OG Kush. Their cross between a Lemon Skunk and an OG #18 makes for a fantastic smoke experience that blends deep and fuel-like flavour tones with beautifully contrasting refreshing lemon notes. 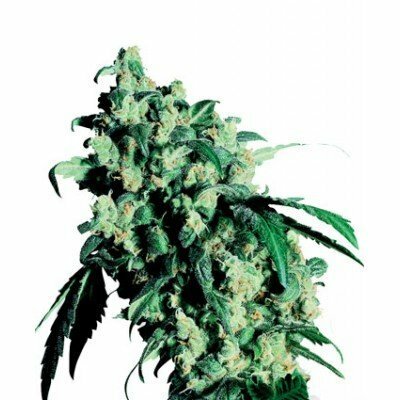 Growers will like that Lemon OG Kush flowers in a reasonable 8-9 weeks where she will reward with a respectable harvest of up to 550g/m² of some first grade dank but very lemony bud. Her effect is incredibly cerebral and can be just the right thing if you want a good strain for pain relief or to help treat depression and anxiety.